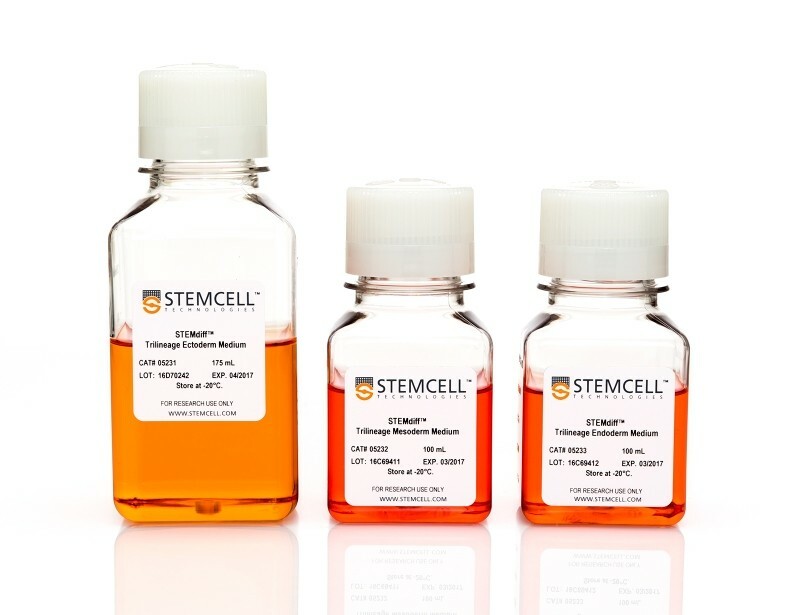 The STEMdiff™ Trilineage Differentiation Kit provides a simple culture assay to functionally validate the ability of new or established human embryonic stem (ES) and induced pluripotent stem (iPS) cell lines to differentiate to the three germ layers: ectoderm, mesoderm, and endoderm. 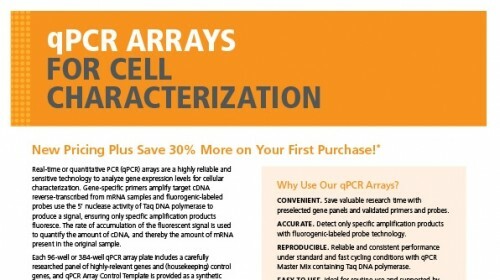 This kit includes specialized, complete media and monolayer-based protocols to perform parallel in vitro directed differentiation experiments for each germ layer, clearly and reproducibly establishing trilineage differentiation potential within one week. 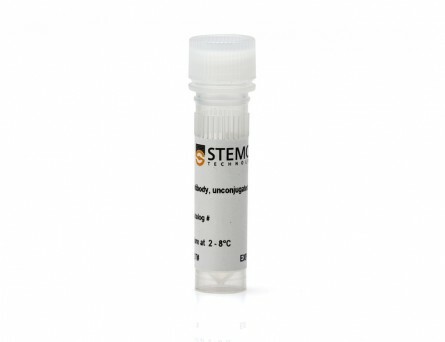 STEMdiff™ Trilineage Differentiation Kit is intended to be an endpoint assay and is not optimized for the generation of cells for downstream differentiation or other applications. 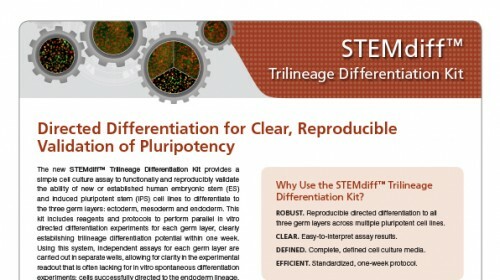 STEMdiff™ Trilineage Differentiation Kit has been optimized to assess cells maintained in mTeSR™1. 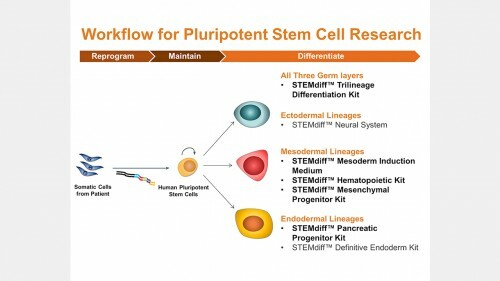 Feeder-Free Derivation of Naïve Human Pluripotent Stem Cells. 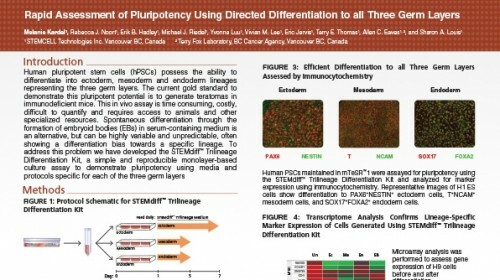 Human pluripotent stem cells (HPSCs) cultured in conditions that maintain pluripotency via FGF and TGFβ signaling have been described as being in a primed state. 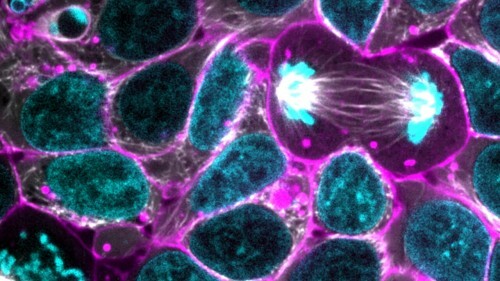 These cells have been shown to exhibit characteristics more closely related to mouse epiblast-derived stem cells than to so called naïve mouse PSCs said to possess a more ground state pluripotency that mimics the early mouse embryo inner cell mass. 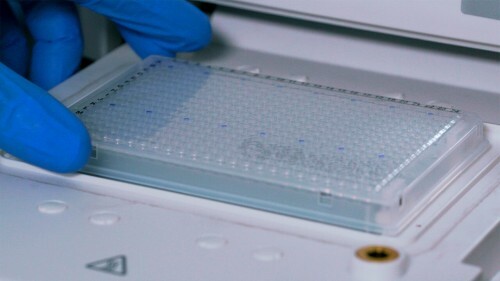 Initial attempts to create culture conditions favorable for generation of naïve HPSCs from primed HPSCs has required the use of mouse embryonic fibroblasts as a feeder layer to support this transition. 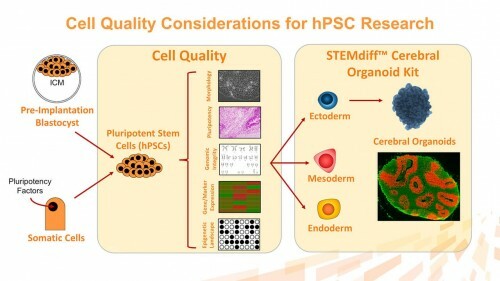 A protocol for the routine derivation and maintenance of naïve HPSCs in completely defined conditions is highly desirable for stem cell researchers to enhance the study and clinical translation of naïve HPSCs. 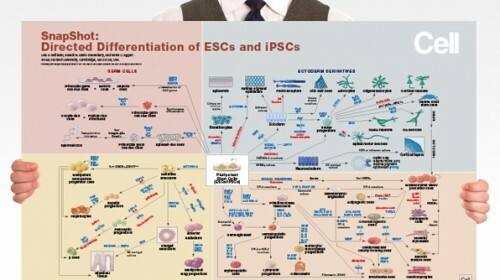 Here we describe a standard protocol for transitioning primed HPSCs to a naïve state using commercial RSet media and xeno-free recombinant vitronectin. 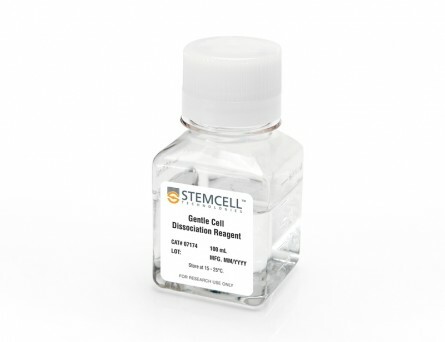 Generation of induced pluripotent stem cells (iPSCs) from a hypertrophic cardiomyopathy patient with the pathogenic variant p.Val698Ala in beta-myosin heavy chain (MYH7) gene. S. B. Ross et al. 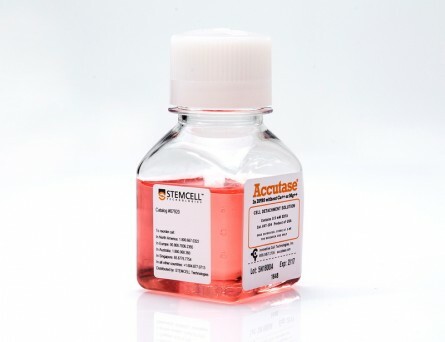 Induced pluripotent stem cells (iPSCs) were generated from peripheral blood mononuclear cells (PBMCs) isolated from the whole blood of a 43-year-old male with hypertrophic cardiomyopathy (HCM) who carries the pathogenic variant p.Val698Ala in beta-myosin heavy chain (MYH7). Patient-derived PBMCs were reprogrammed using non-integrative episomal vectors containing reprogramming factors OCT4, SOX2, LIN28, KLF4 and L-MYC. 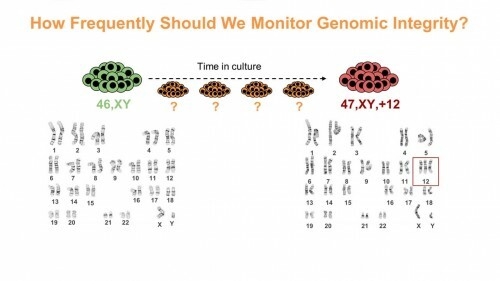 iPSCs were shown to express pluripotent markers, have trilineage differentiation potential, carry the pathogenic MYH7 variant p.Val698Ala, have a normal karyotype and no longer carry the episomal reprogramming vector. 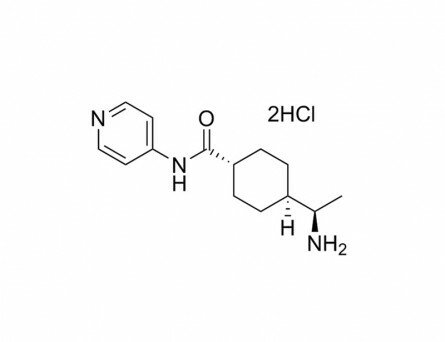 This line is useful for studying the link between variants in MYH7 and the pathogenesis of HCM. 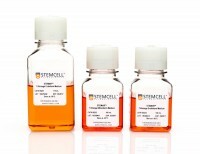 Peripheral blood derived induced pluripotent stem cells (iPSCs) from a female with familial hypertrophic cardiomyopathy. 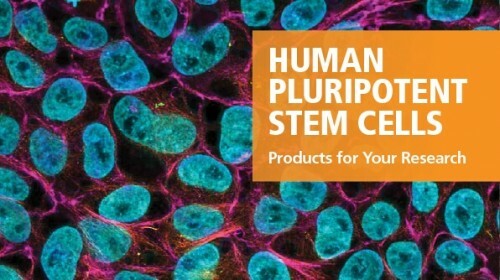 Induced pluripotent stem cells (iPSCs) were generated from peripheral blood mononuclear cells (PBMCs) obtained from a 62-year-old female with familial hypertrophic cardiomyopathy (HCM). PBMCs were reprogrammed to a pluripotent state following transfection with non-integrative episomal vectors carrying reprogramming factors OCT4, SOX2, LIN28, KLF4 and L-MYC. 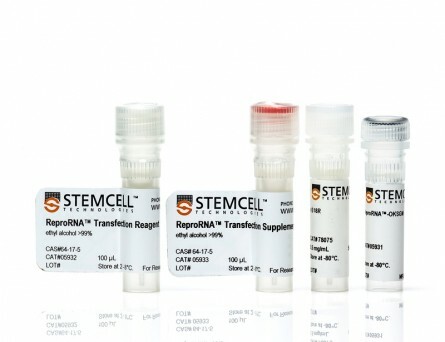 iPSCs were shown to express pluripotency markers, possess trilineage differentiation potential, carry rare variants identified in DNA isolated directly from the patient's whole blood, have a normal karyotype and no longer carry episomal vectors for reprogramming. 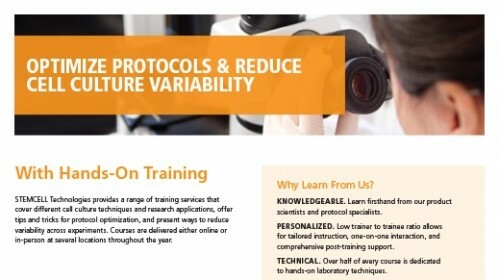 This line is a useful resource for identifying unknown genetic causes of HCM.